Ofc. Bain has been with the Gastonia Police Department since 2010. Previously served with the Belmont Police Department. 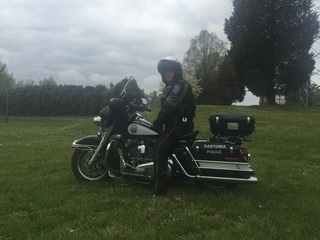 In 2015 he joined the Gastonia Police Department Motor Unit where he attended the North Carolina Highway Patrol Basic Rider School. Ofc. Bain is a certified accident reconstructionist with the Gastonia Police Department.